The word ninja evokes a sense of skill, strength, speed and stealth. The concept behind the name is idea that your windows will be skilfully cleaned with minimal disruption to your home or business. 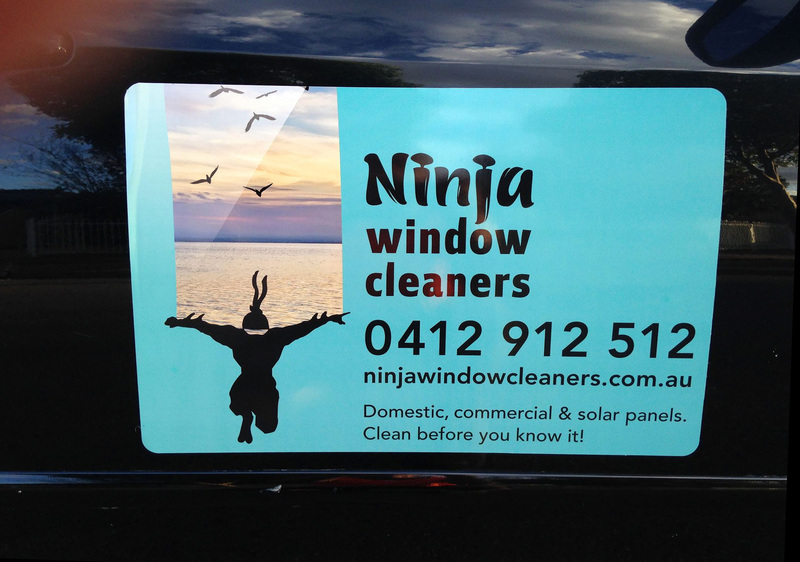 The ninja figure in the logo forms a human squeegee gliding down the business card. 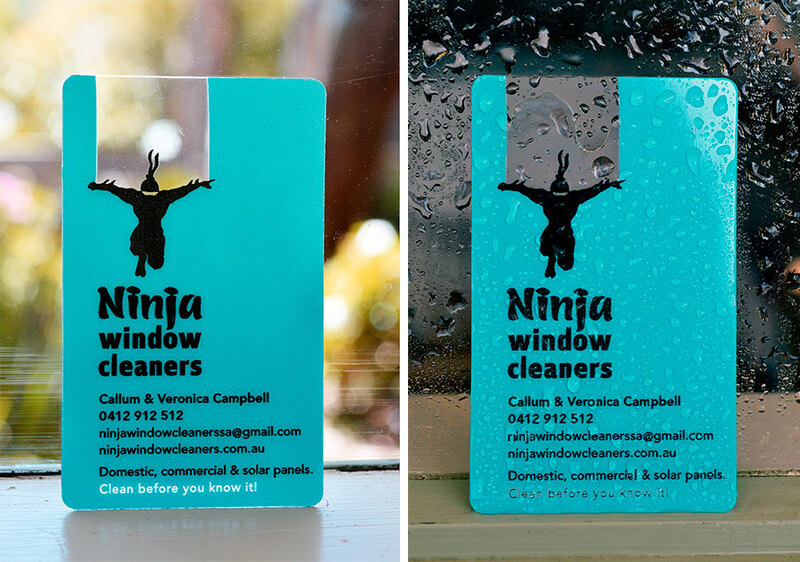 A clear plastic medium was chosen for the business card to mimic a window, creating a card that is memorable and ‘keepable’. In a job where water is always around, the card has the added advantage of not getting damaged when wet.